Those of you who practice Yoga, Pilates and holistic fitness, already know the importance of balance training equipment. Working for balance, we improve posture and body control, providing an excellent opportunity to stress several muscle groups simultaneously as well. These is the best balance training equipment on the market. They are divided into three categories – balance boards, Swiss (Yoga) balls, and foam rollers. We update the list regularly, so you’ll definitely be able to find great deals on balance training equipment for sale. 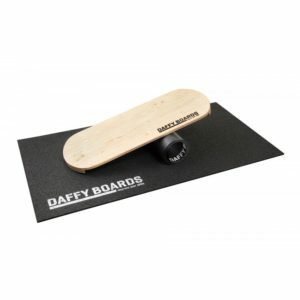 One of the best balance boards on the market. 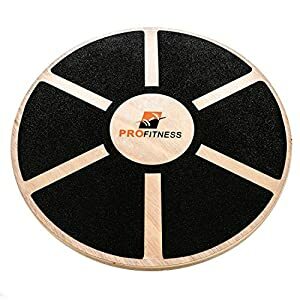 Lightweight, quality made, and with a non-slip surface, it offers plenty of opportunities to work on your core and balance. The craftsmanship is top-notch, and hard to replicate by other brands. Why would you need Balance Training Equipment? If you are familiar with the work of Tony Horton, you’ve probably heard this by now – he says that everyone should be working on their weaknesses. And for majority of us, balance is the aspect of fitness we hardly ever pay any attention to. Thankfully, though, balance training equipment is very affordable, so we can instantly start working on improving our posture, body control, and stressing several muscle groups from dozens of different angles all at once. Many workout programs today include Swiss balls in order to make you work harder, so you’ll have an easy time searching for a garden variety of moves on YouTube. It is of course a myth that only Yoga practitioners can benefit from balance training equipment. Many holistic fitness programs offer dozens of different exercises where you can combine bodyweight training with balance work. Swiss balls are excellent for weight training as well, since they force you to exercise greater control over your body, isolating specific muscles. Also known as Pilates balls they slowly become necessary equipment for every gym. Balance boards on the other hand are slightly different. They strengthen your core and allow you to work on posture improvement. People who want to prevent spine injuries should consider buying one sooner rather than later. They are also great for improving agility, since you’ll exercise body control and reaction time. 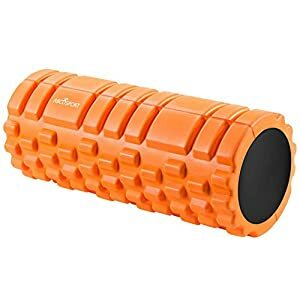 Foam rollers are great for balance work, but much more so for body relaxation and deep muscle massage. 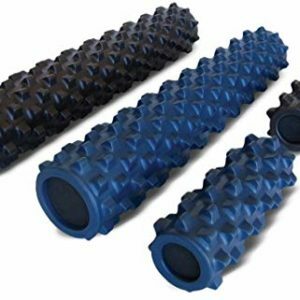 You can use them after each workout, or dedicate an extra day in the week where you do foam roller exercises exclusively. There is also a decent selection of balance pads at an affordable price. Browse the list, select an item and read the full description (or review where we have one). You’ll be later redirected to Amazon, where you can learn more and maybe purchase the item. We update the list regularly, so you can find lots of balance training equipment for sale.